FRAME captures the latest project by MX3D, a studio dedicated to robotic additive manufacturing technology. 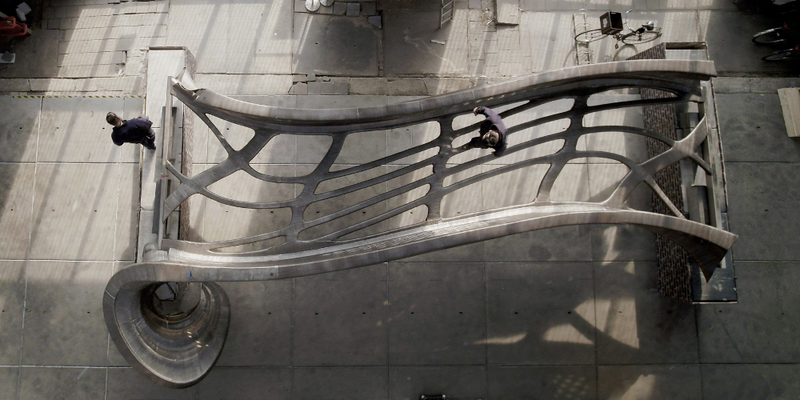 This stainless steel pedestrian bridge will entirely be realized in 3D printing in Amsterdam in 2019, enabling the crossing of a canal in the old city. But this is not the end of the story. A sensor will monitor the bridge’s health in real time. An example of data engineering that materializes in a walkable structure, a great work of collaboration between different disciplines.